Black History Month is held every October in the UK to promote the knowledge of Black History and the contribution that people of African and Caribbean origin have made to society. Black History Month in the UK is usually accredited to Akyaaba Addai Sebbo (1987) or Linda Belos. Create a play about key events in Black History and their impact, such as the arrival of Empire Windrush in 1948, Notting Hill Race Riots of 1958, Claudia Jones and the organisation of Britain’s first Caribbean Carnival (1958)/ Notting Hill Street Carnival and the Pan African Conference in Manchester. Young people can choose how the event could be dramatized, write the script and conduct the play. Create a display of sporting greats such as Walter Tull, Jack Johnson, The Harlem Globe Trotters, Pele, Arthur Ashe, Jesse Owens, Andrew Watson, Arthur Wharton, Althea Gibson, Lewis Hamilton, Serena and Venus Williams, Tiger Woods, and Usain Bolt. Create a timeline of various types of African and African-derived music such as African Court Music, Highlife, Work Song, Blues, Gospel, Ragtime, Jazz, Rhythm & Blues, Reggae, Hip Hop, Techno and House music. In a music production session, the young people could create a song that combines the styles of pioneering music artists e.g. Scott Joplin, Louis Armstrong, Dizzy Gillespie, Ray Charles, James Brown, Prince Buster, and Toots and the Maytals. Research the popular dances associated with the music above and create a production that covers these styles from the Cake Walk, Lindy Hop, Tap Dance, Breakdance, Disco, Charleston, the Electric Slide, Moonwalk etc. 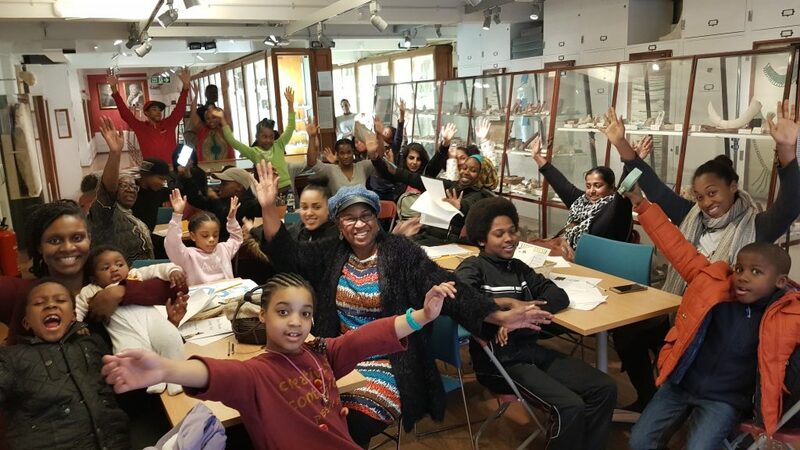 Attend a Black History Walk around your local area and visit museums like the British Museum and the Science Museum in London and the International Slavery Museum in Liverpool. Organise film screenings with discussions in your youth settings of films, such as Motherland, Before They Die!, Marcus Garvey: Look for Me in the Whirlwind, 500 Years Later and Maafa. The British Film Institute Screenonline pages on Black British Film are a good resource to utilise. These are just a few ideas on how you can celebrate Black History Month in your youth setting. Please, don’t just limit yourself to the month of October; Black History should be celebrated all year round!